“Vikings” season 5 episode 19 is a bittersweet chapter because only two episodes are left once this airs next week. Since the finale is getting closer, things are really heating up in Kattegat and the viewers can expect plenty of confrontations, betrayals, and deaths. 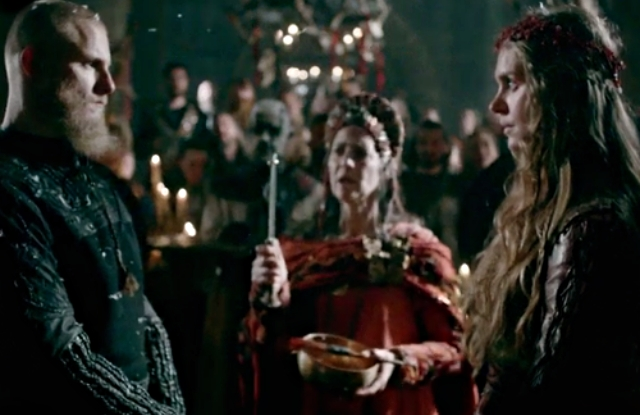 Aside from the synopsis, the promo clip for “Vikings” season 5 episode 19 was also released and it shows many unexpected events like the possible death of Ivar the Boneless (Alex Hogh Andersen). There are heartbreaking scenes as well such as when Freydis realized that her son is dead and his father is suspecting his paternity. Fans will get to see what will happen to Freydis (Alicia Agneson) in the hands of her own husband in the upcoming “Vikings” season 5 episode 19. In any case, this chapter will also center on Ubbe (Jordan Patrick Smith) who called the three Danish kings to help him end Ivar’s reign in Kattegat. However, instead of assistance, he was challenged to a one-on-one battle by King Frodo (Gavan O Connor Duffy) and based on the preview, it appears that Ubbe has been defeated. Now, the summary suggests that “Vikings” season 5 episode 19 will continue from the time Floki discovered a cave in Iceland. It is likely that he will explore the cave and the upcoming episode will reveal what he will find there. Finally, with all the chaos, it seems that the finale will end in another battle for Kattegat.